Arizona State High School Mock Trial Program, 1994 to present. Executive Board Member of the Boys Scouts of America, Grand Canyon Council. Director, Northern Arizona Advisory Board of the American Lung Association of the Southwest 2012-2013. 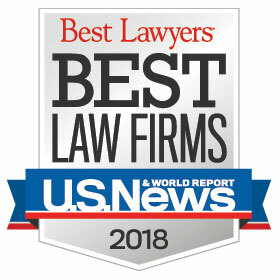 Super Lawyers Southwest Rising Stars – Arizona (2013, 2014, 2015, and 2016): Super Lawyers conducts a general survey and research concerning attorneys under 40 years old. The lawyers are then ranked by point totals with the highest 2.5% being named “Rising Stars”. Lance was the first student to win both of the Law School’s trial argument competitions; the Jenckes Closing Argument Competition (a competition between the laws schools at Arizona State University and the University of Arizona) and the Grand Damages Argument Competition, in the same year. William T. Birmingham Award for Trial Advocacy, 2005. Law College Association Achievement Award, 2005. In his free time, Lance loves spending time with his wife and two boys. Lance is also an avid supporter of the Arizona Cardinals, in good times and bad. Lance Broberg is committed to serving his clients with their diverse and complex litigation and trial needs. Lance focuses extensively in matters regarding intra-corporate disputes, contract disputes, real estate disputes, commercial landlord-tenant disputes, and trade misappropriation. 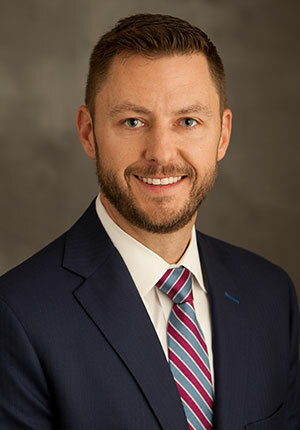 Lance’s trial and litigation experience extends from provisional relief obtained immediately on the filing of a complaint through bankruptcy and appellate matters. Lance has distinguished himself by, among other things, successfully obtaining multiple jury verdicts awarding punitive damages in the context of business disputes. Lance uses his skills as a client advocate and trial attorney both in the courtroom and in the community. In addition to his experience practicing in the Arizona Courts, Lance devotes much of his time to the Arizona High School Mock Trial program, organized through the Arizona Foundation for Legal Services & Education. From drafting the case problems, to coaching, to coordinating and judging the tournaments, Lance has been involved in the Arizona Mock Trial program for over 20 years. Before joining Tiffany & Bosco, Lance served as a judicial clerk in the U.S. Bankruptcy Courts for the District of Arizona. Lance served as an extern for the Executive Office of the President of the United States, Office of National Drug Control Policy, and Office of Legislative Affairs. At the time, the head of the ONDCP was John P. Walter who held a cabinet-level position with the administration of President George W. Bush. In addition, he was the Public Relations Editor for the Journal of International and Comparative Law at the University of Arizona.